As Boeing pitches pilots on its fix to the 737 MAX automation problem, some remain skeptical — and unsure Boeing is being totally transparent. Within hours of Ethiopian Airlines Flight 302 taking a nosedive into the ground near Addis Ababa, Ethiopia, airlines around the world were grounding the type of plane involved. It was the second deadly crash involving a Boeing 737 MAX in five months. And there were concerning similarities between the tragedies. Three days after the second crash, the rest of the world had benched the plane, but the FAA and North American airlines had not. That afternoon, the FAA ordered all 737 MAX planes grounded in the U.S., too, "as a result of the data gathering process and new information gathered at the site" of the crash in Ethiopia. For those three and a half days, U.S. airlines were flying more than 70 Boeing 737 MAX planes. American, United and Southwest Airlines all fly the MAX. American Airlines pilot Jason Goldberg won't say directly if he would have been comfortable flying the 737 MAX in those three days. "I think that our pilots will always make the decision on an individual basis," he said. Goldberg wasn't scheduled to fly the 737 MAX in that time. American owns another, slightly older version of the 737, too. All 737 pilots at American, like Goldberg, are trained to fly both. "I was not in that position because I was not flying the aircraft, so I can't speak for our pilots, but I know that our individual pilots — our individual captains and our first officers — would have made the responsible decision regardless." Goldberg has logged several hundred hours in the MAX. He says he's among his airline's more experienced pilots on the new 737 model. He's also a spokesperson for American Airlines' pilots union, Allied Pilots Association. In the wake of Boeing's updates to the MAX, he's hopeful the plane will again be certified to fly soon. But, he's cautious. "Time will tell," he said. "We're not really interested in fast-tracking or hurrying the process of recertifying the aircraft." Related Story Could This Feature Of The Boeing 737 MAX Be Linked To 2 Plane Crashes? Boeing's key fix to its 737 MAX problem involves the automated system called the Maneuvering Characteristics Augmentation System (MCAS). The system monitors the plane for abnormal pitch — the angle at which the nose is pointed into the sky. If it senses the plane is stalling, as in losing lift, it pushes the nose of the plane down. The MCAS seems to have thought Lion Air Flight 610 was stalling shortly after it took off from Jakarta, Indonesia, in October. It forced the nose of the plane down, but rather than recovering from a stall, as intended, it caused a nosedive. The same thing might have happened on Ethiopian Airlines Flight 302. The MCAS is a new system for the 737. Older models of the plane have flown without it for decades. But Goldberg says without it, the new version of Boeing's popular plane would have handled differently from other versions of the 737, the ones pilots were used to flying. "[The MAX] has a different engine, a larger engine," he said. "The engine's mounted in a different place on the wing. The aircraft's considerably longer. So, all these things cause the aircraft to have a different handling characteristic." Adding the MCAS to the new 737 model, at least in part, significantly reduced the training required for pilots who were already trained on previous models. Whether or not adding training would have eliminated the necessity of the MCAS is "an open question," according to Goldberg. "Simulator training would have added significant expense" for the airlines, he said. Whether the MCAS was necessary or not, it ended up in the 737 MAX. But Boeing didn't tell pilots. "The Allied Pilots Association considered that a serious breach of trust and considered it inexcusable," Goldberg said. "Those are strong words, and we use them advisedly. I can't speculate as to why Boeing made that decision, but I can only tell you that we strongly disagreed with it." Surely it also makes pilots wary of other hidden faults. 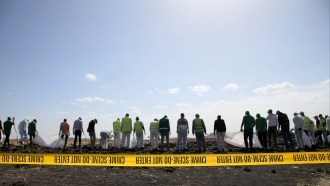 As Newsy reported the day of the groundings, MAX pilots had filed complaints about the plane in an anonymous database months before the Ethiopian crash. One pilot said: "Now we know the systems employed are error prone, even if the pilots aren't sure what those systems are, what redundancies are in place, and failure modes. I am left to wonder: what else don't I know?" Goldberg said American Airlines pilots are working with Boeing and the FAA to recertify the MAX as safe to fly. 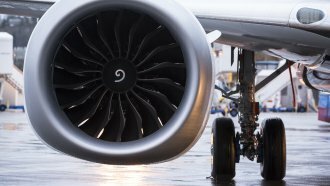 "We have to proceed under the assumption that Boeing is proceeding in good faith with us when it comes to the final fix for this problem," he said. He acknowledged, though, the uncertainty of working with a company that didn't tell pilots about key automation software until after it had apparently caused a deadly crash. "We're not going to sit back and simply trust, but verify," he said. "We're not simply going to take Boeing at its word. We're going to be actively involved in the process of recertification."